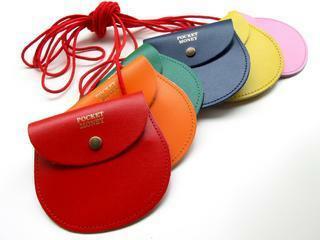 Nostalgic real leather pocket money purse, made in Scotland. Pink leather and soft to touch, a perfect addition to any outfit. A great gift. Presented on a red cord to hang around your neck like the good old days.